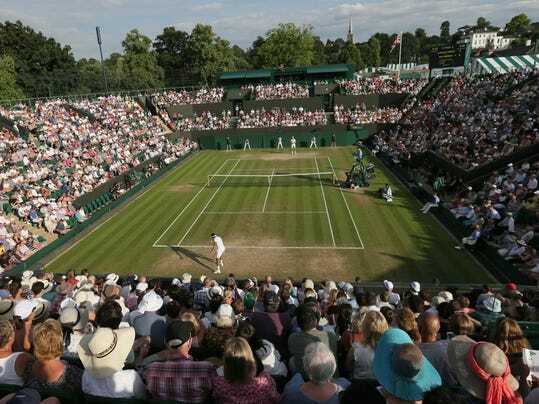 LONDON (AP) — Roger Federer and Novak Djokovic are among the players whose Wimbledon third-round matches are scheduled to be completed before the tournament heads to its traditional break on the middle Sunday. For the first time in 33 years, a pair of brothers will both be competing in the third round at the All England Club. Back in 1984, it was Tim and Tom Gullickson. This time, it’s 10th-seeded Alexander Zverev and his older sibling, 27th-seeded Mischa. Mischa plays seven-time champion Federer on Centre Court on Saturday. Alexander faces Sebastian Ofner, a 21-year-old Austrian qualifier who is ranked only 217th. The past two Wimbledon women’s runners-up, No. 1-ranked Angelique Kerber and Garbine Muguruza, also will be trying to reach the second week.